On an early and unseasonably warm April evening, the day began to wind down into night, and treated my camera to this striking sunset. 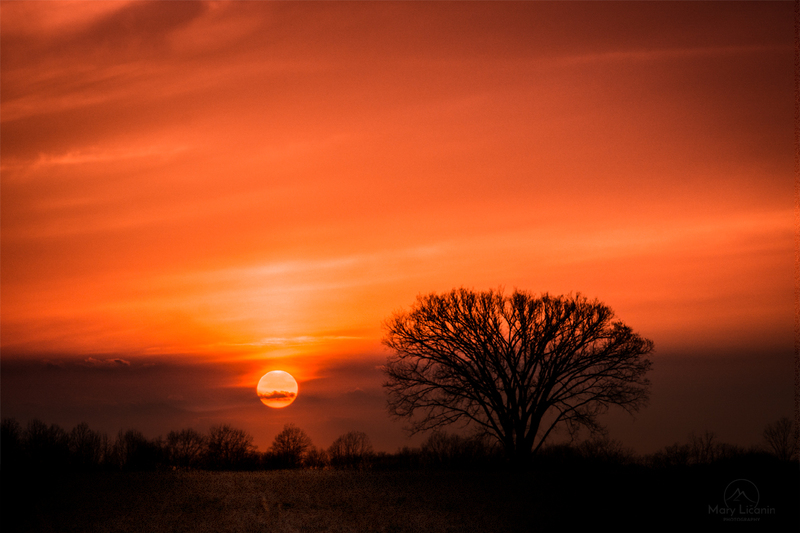 The prominent sky in this scene offers warm orange tones that blanketed the sky from the glow of the setting sun. A light cloud cover that seemed to have been painted with long, soft brush strokes decorated the sky, except for one small, billowy cloud that stopped briefly to bathe in the warmth of the sun. A single dramatic tree with thick bare branches stood apart from any other, and shares the focal point with the setting sun.